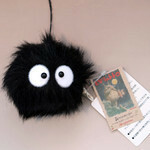 Cute Totoro to attach to your keys or cellphone. Take this dangling cutie with you everywhere! 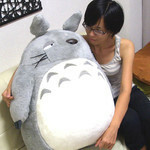 Jul 2012 I love its softness, perfect size and awesome details. Only critique is I wish the ears were also made of fur and not the felt type material they are currently made with. All in all I am still very happy with it!